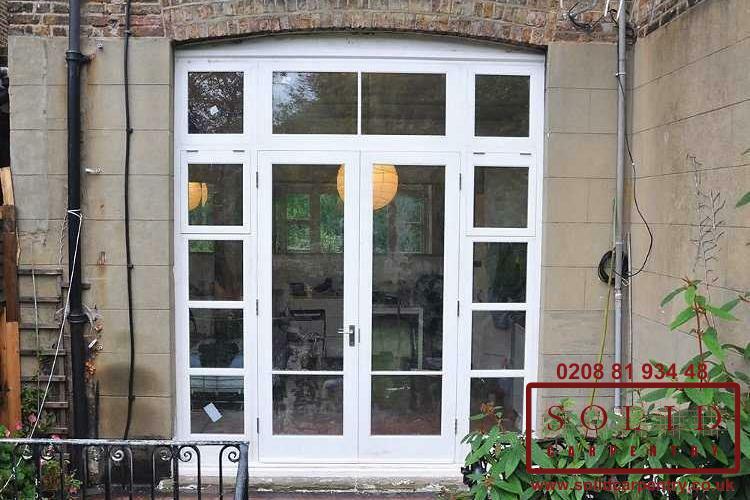 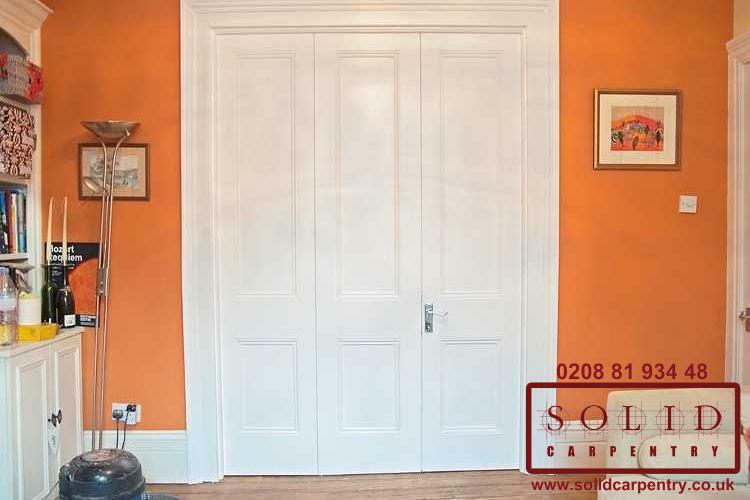 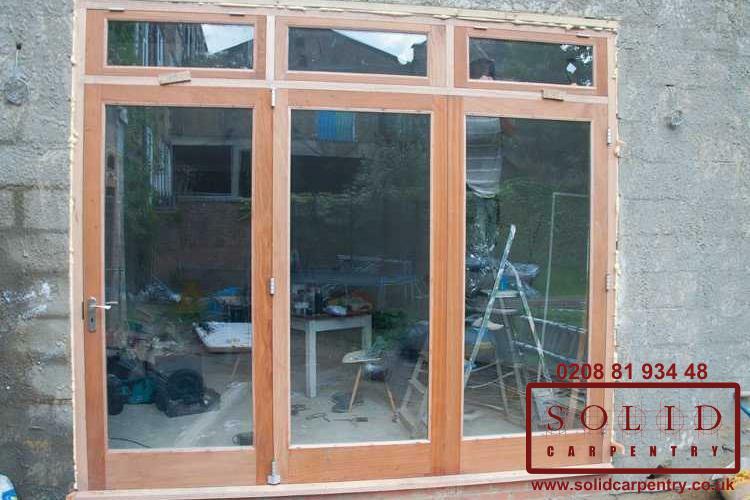 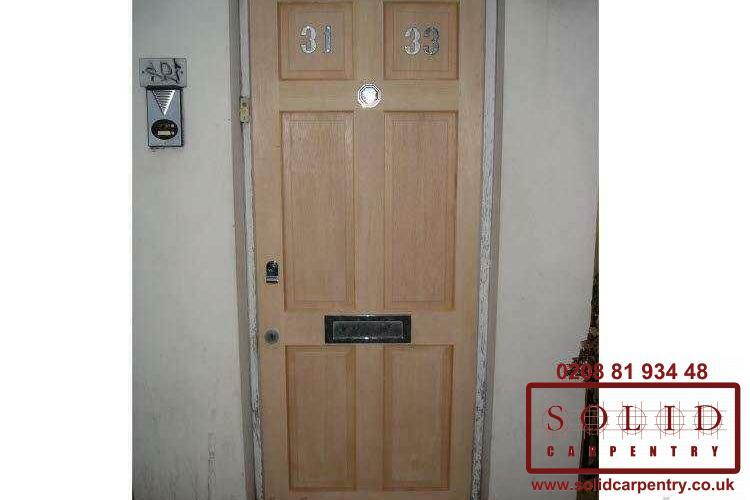 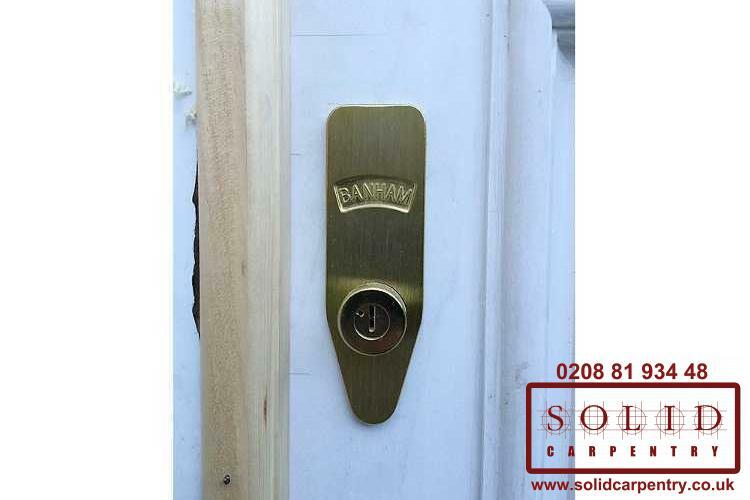 With one look through our Portfolio of door installation work, it’s clear why so many people choose Solid Carpentry to repair, refurbish, or build entirely new front or internal wooden doors. 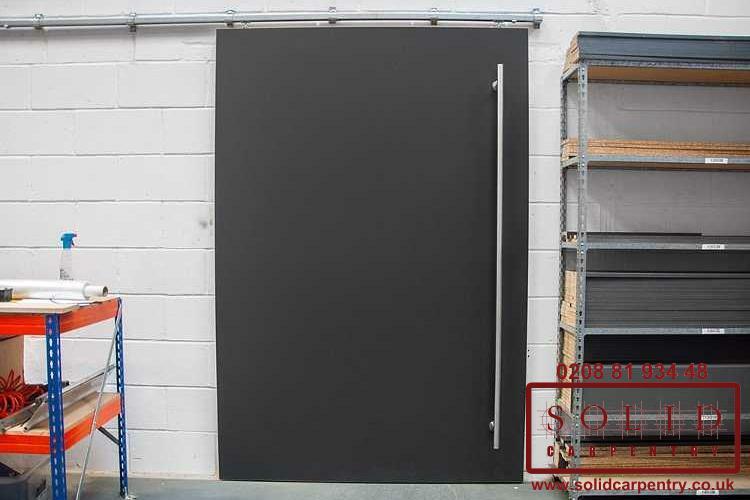 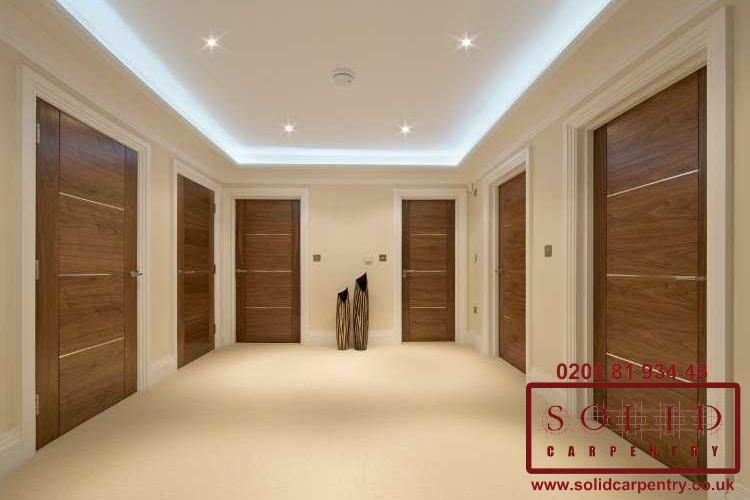 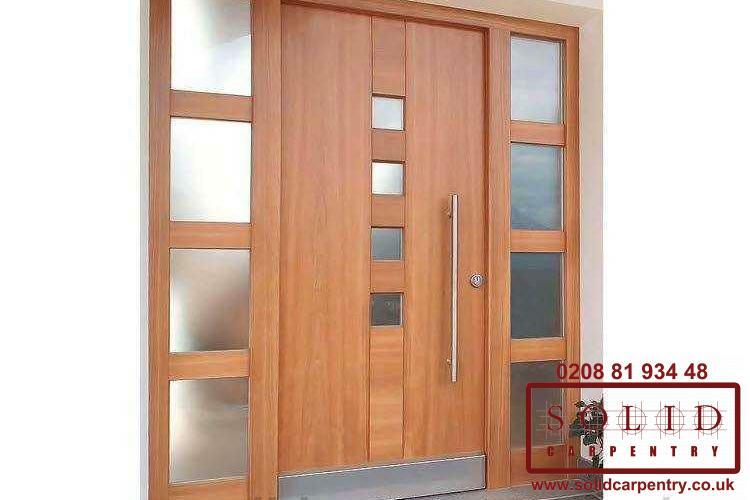 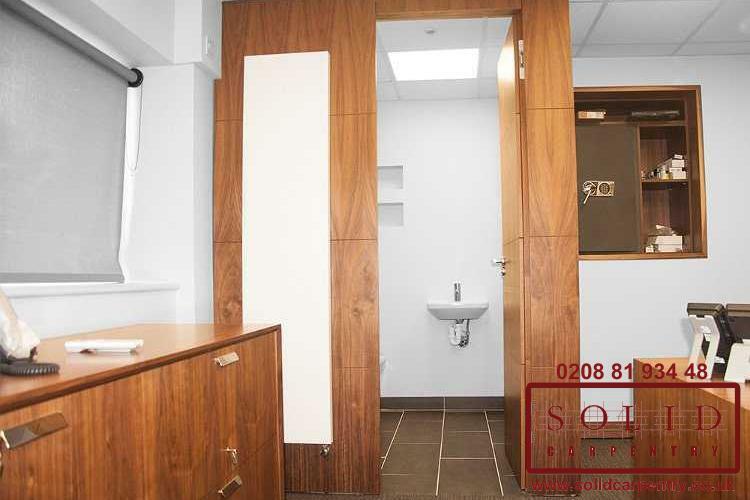 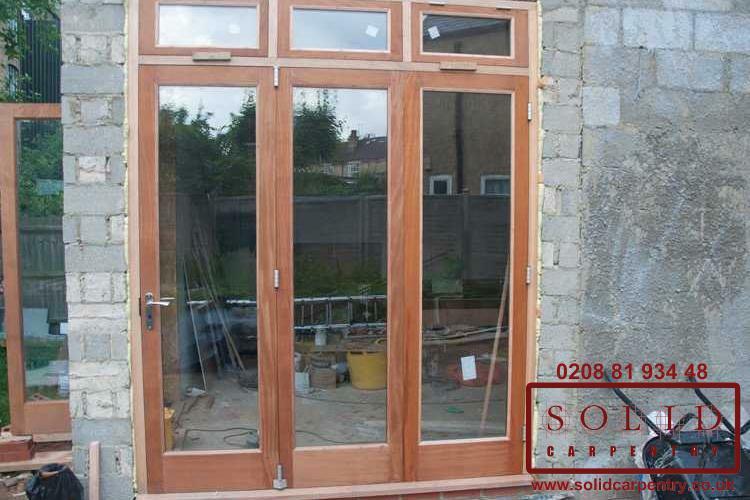 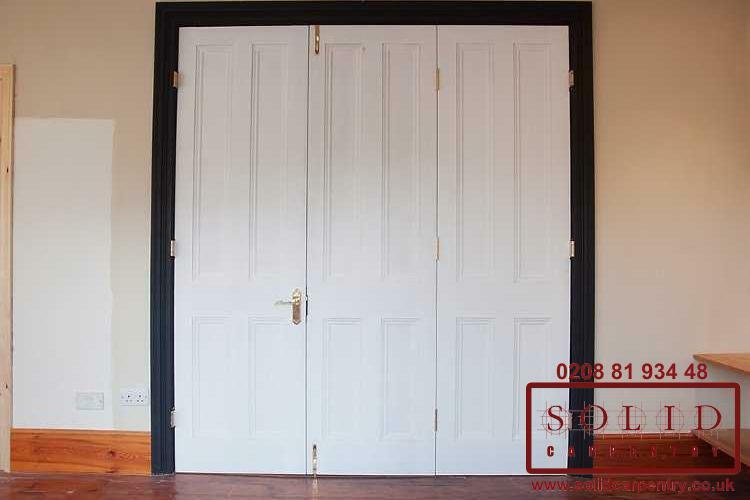 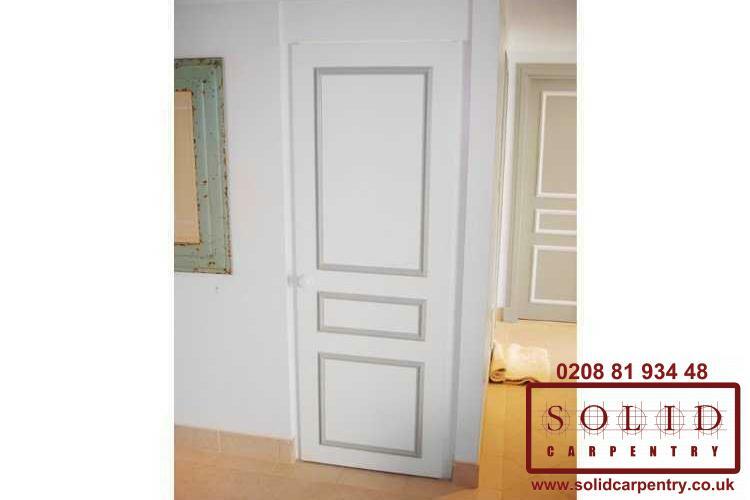 As you can see, we are specialists in supplying beautifully designed yet functional and sturdy wooden doors. 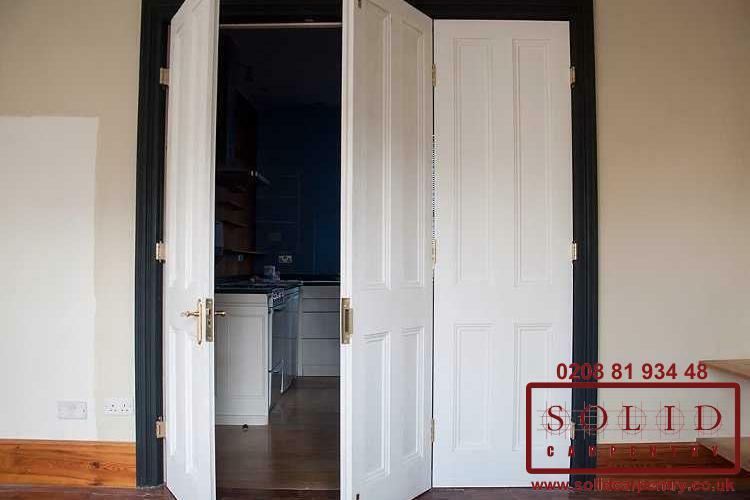 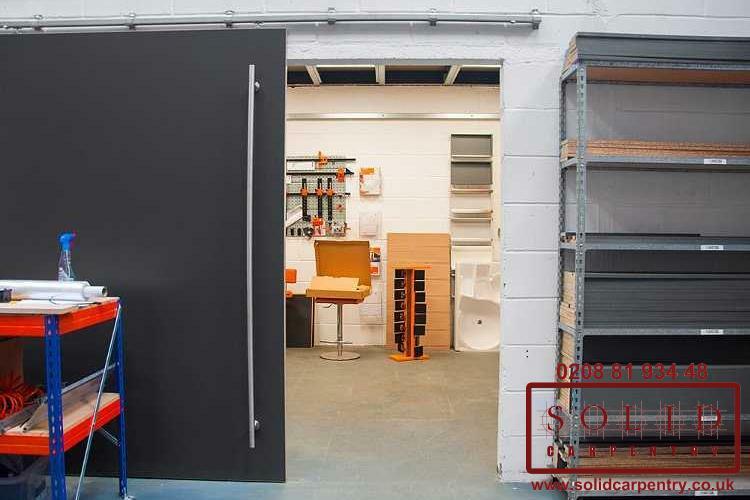 Made-to-measure in a range of materials including timber, softwood, mdf, and oak, we can craft your door to your exact specifications even if they are an uncommon or non-standard shape. 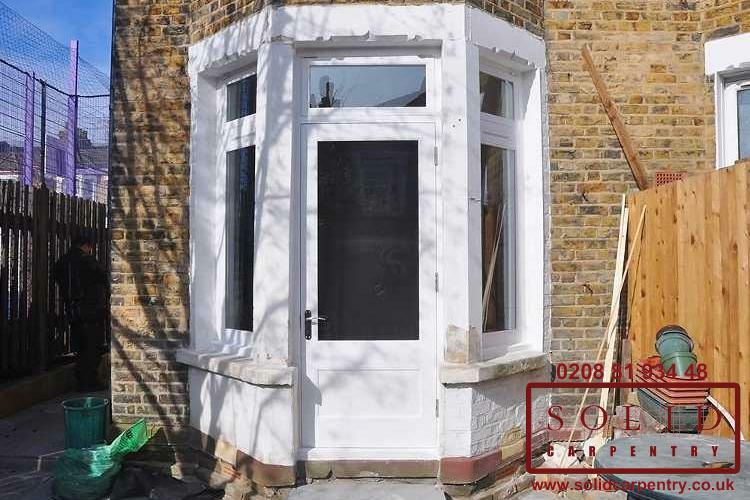 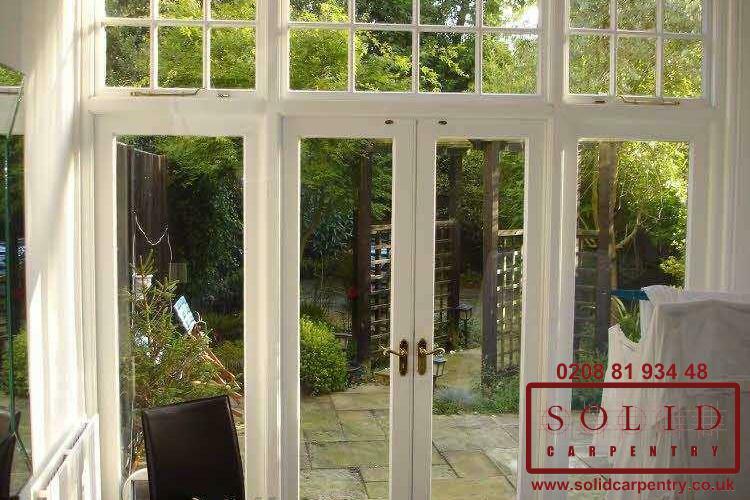 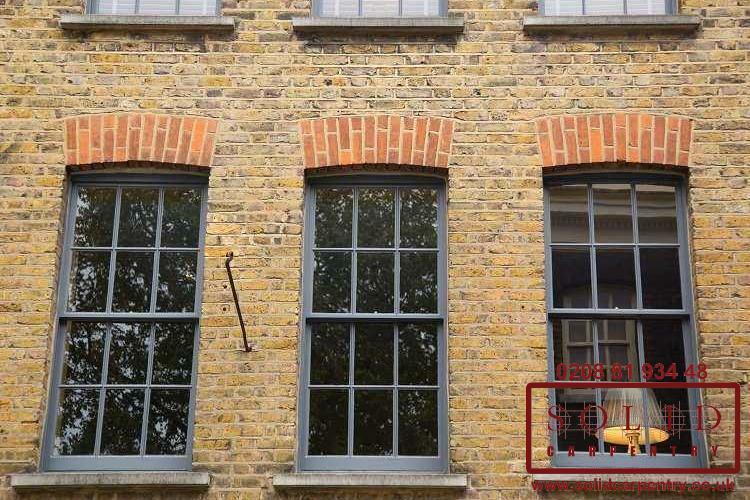 We can also incorporate windows to filter light into your property or add character to your entrance. 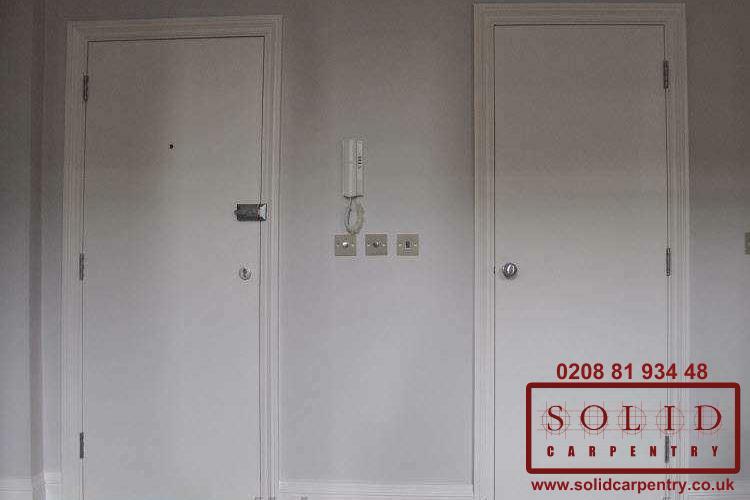 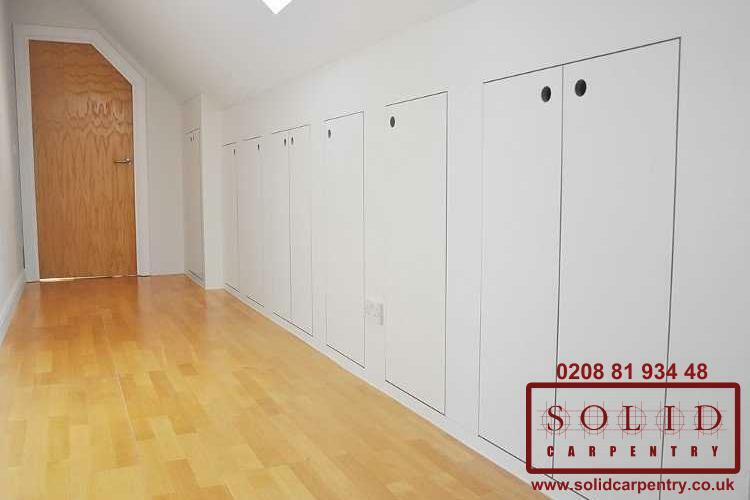 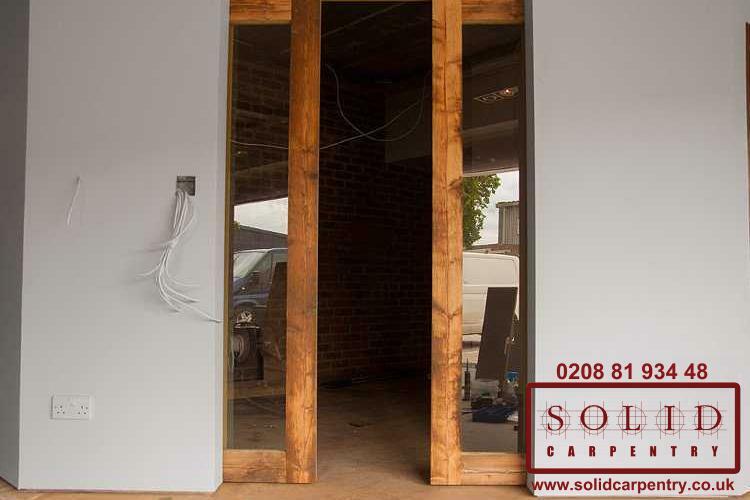 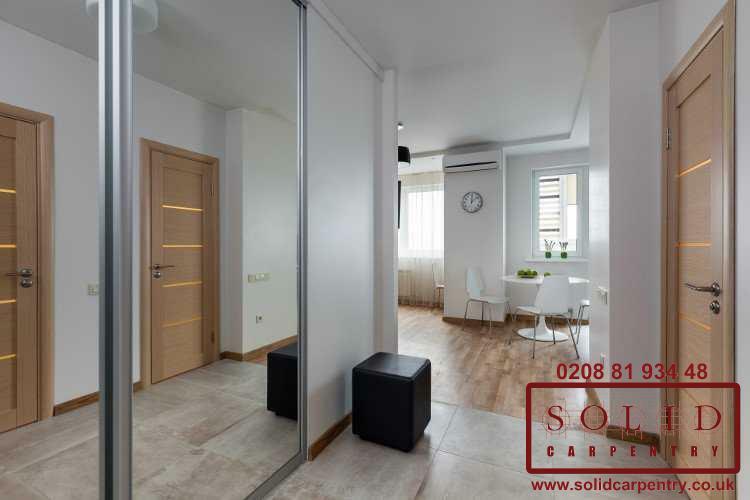 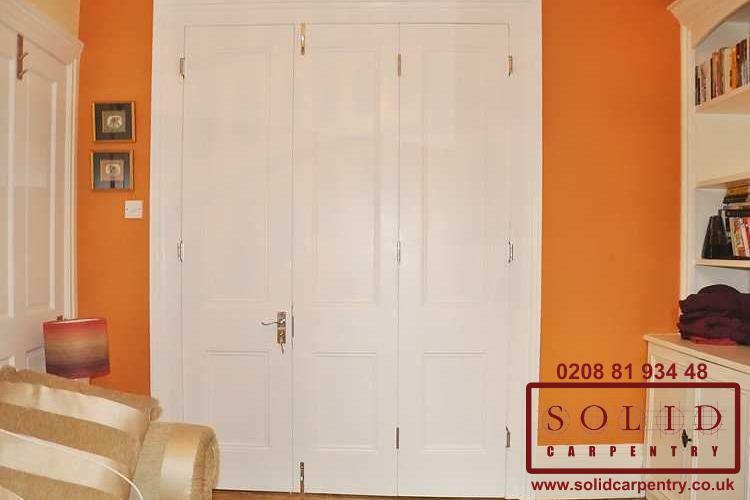 Thanks to the Solid Carpentry personal approach and tailored service, we can install pretty much any door design you can dream up! 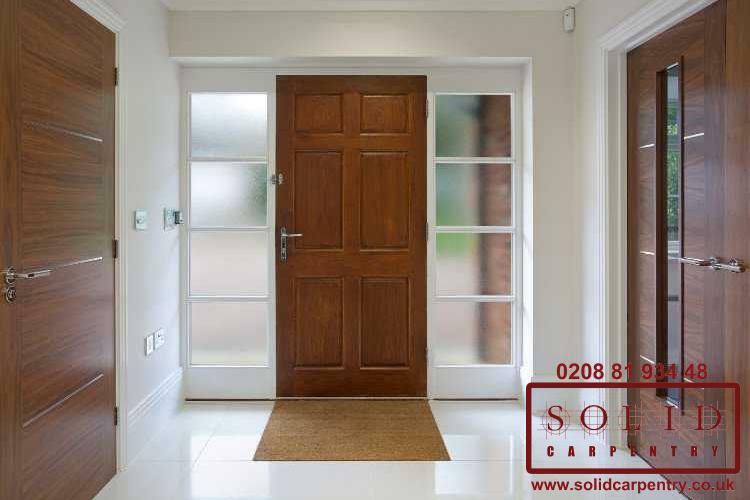 If you require a strong, reliable front or internal door that also looks elegant and refined, wood should always be your first choice of material. 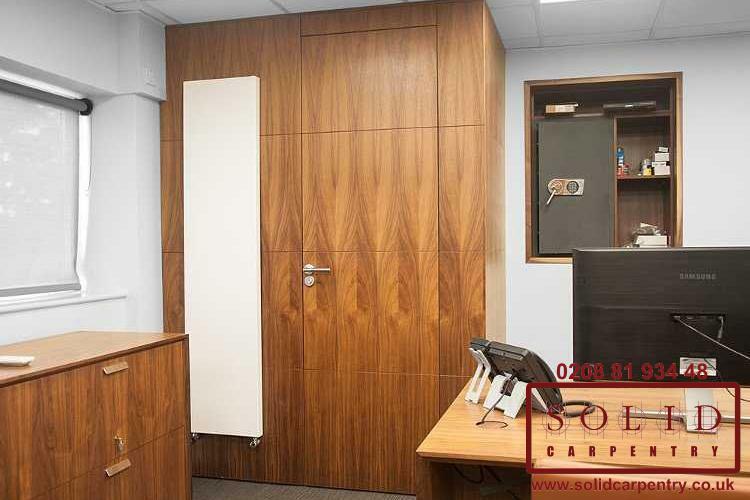 As shown in the photo gallery at the left, wood is incredibly versatile, which means you can create the exact look you want. 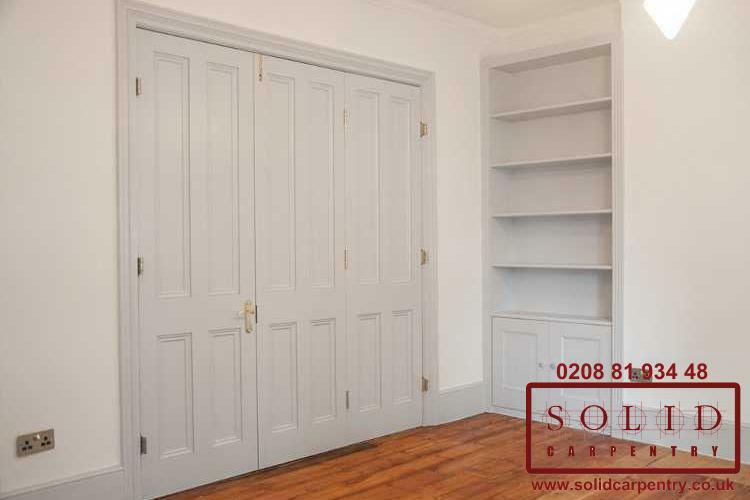 Not only can you choose from different woods, you can also choose to have them finished or stained in a colour or varnish of your choice. 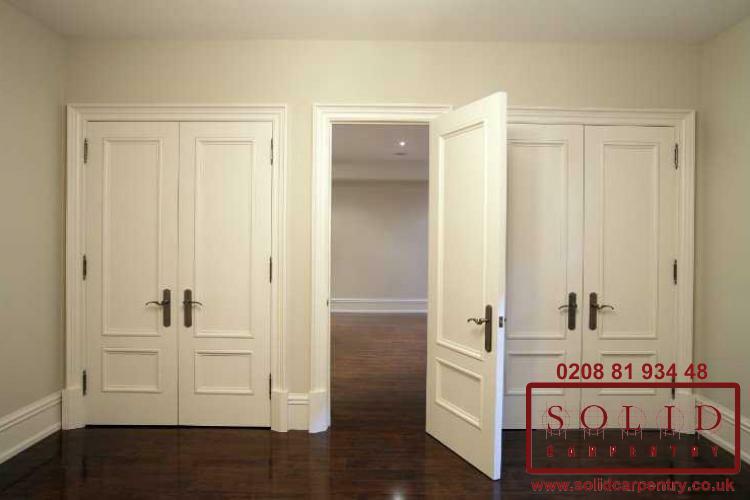 Furthermore, you can choose from a massive range of handles, hinges, and decorative pieces to complement the type of wood and room in which it sits. 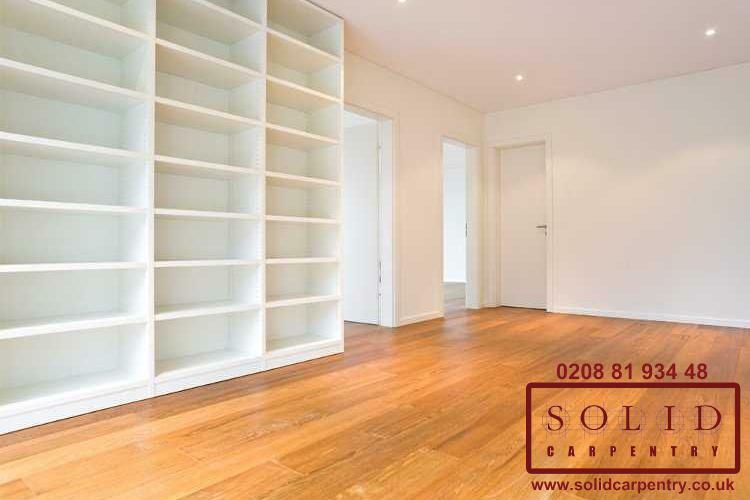 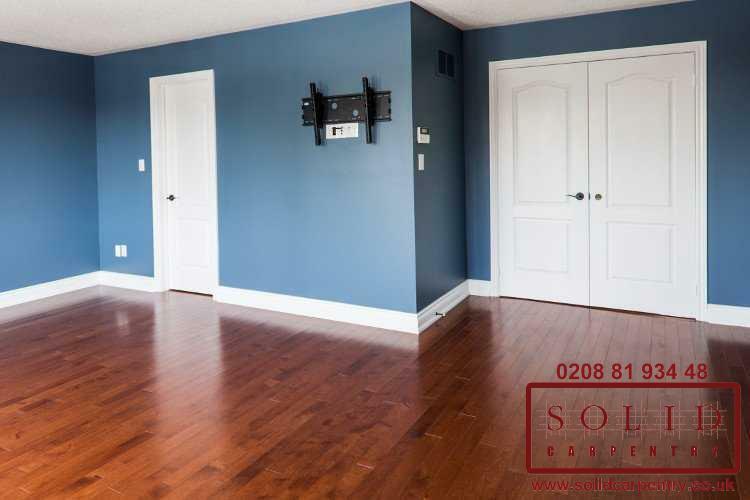 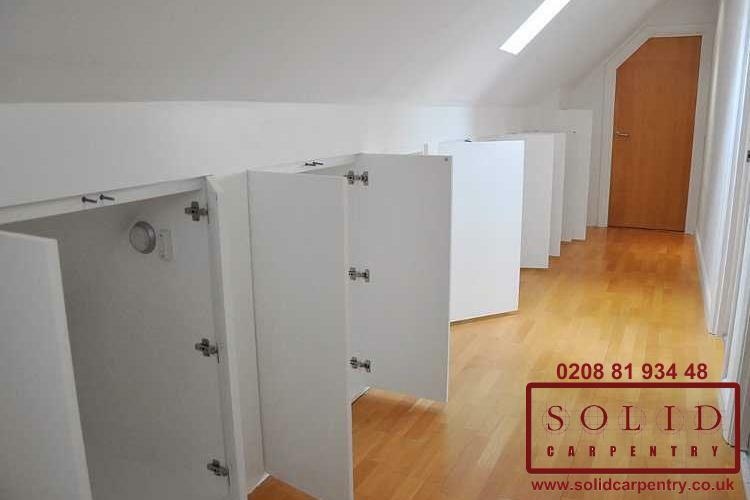 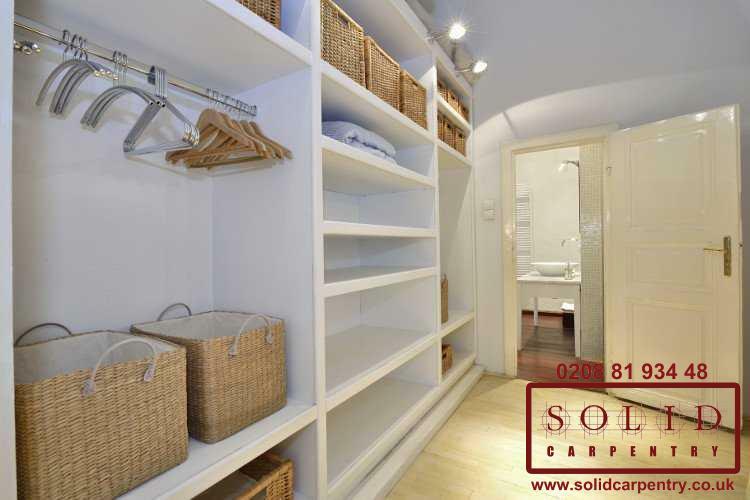 Our highly skilled, knowledgeable team of carpenters can advise you on the best materials to choose in order to achieve the look and feel you desire. 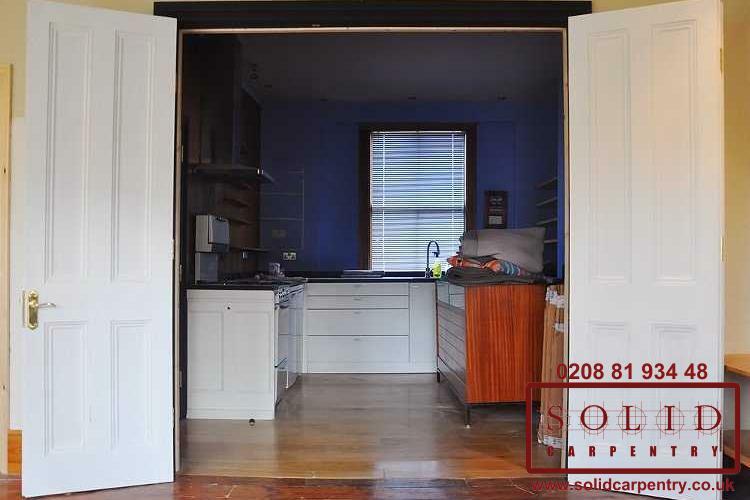 The images at the left also showcase some of our repair and refurbishment work. 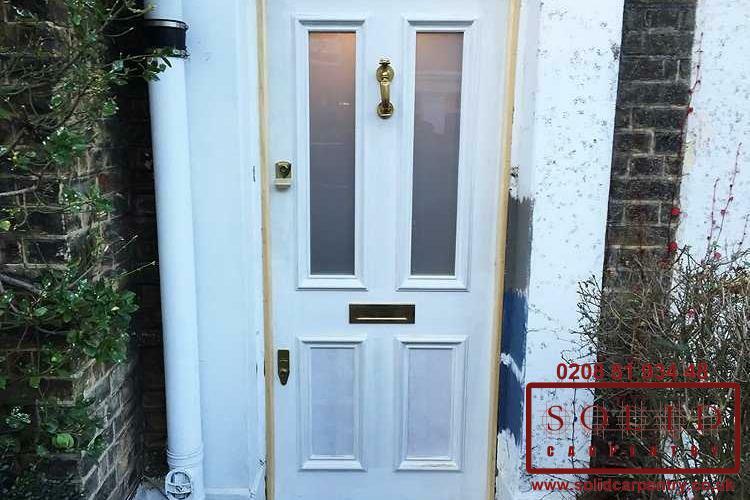 Broken and draughty front doors not only look unsightly, they can compromise your security and increase your heating bills. 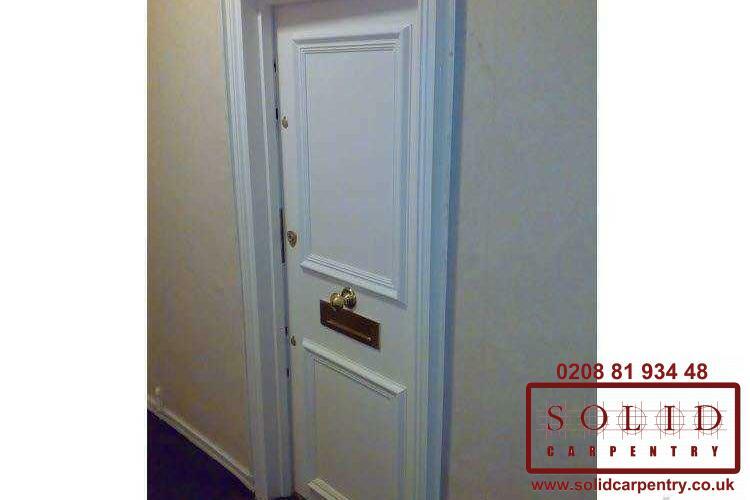 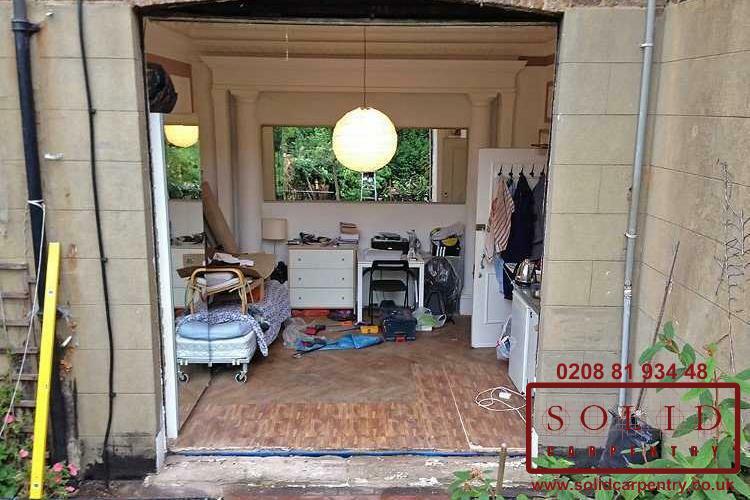 If you are a landlord, a badly damaged door that fails to meet fire safety standards can also leave you liable. 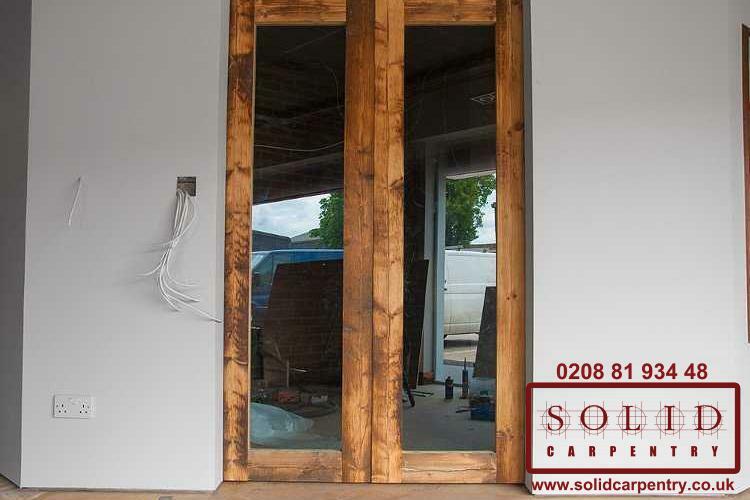 It is clear, therefore, that the need for a skilled carpenter to fix or replace your door cannot be underestimated. 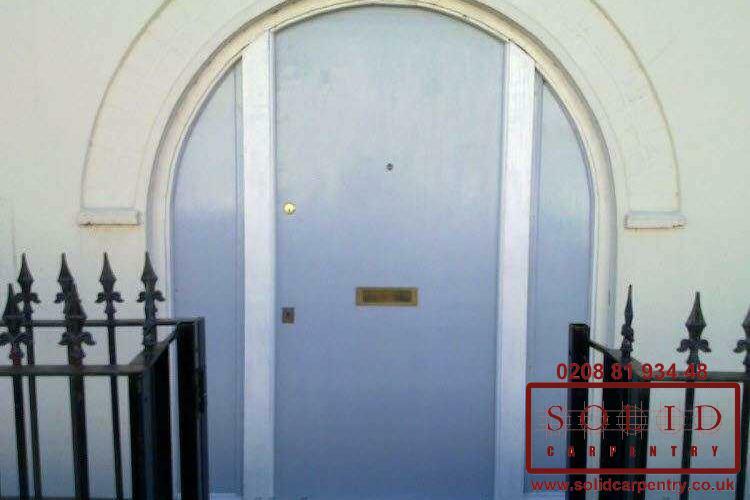 If your home or property could benefit from a door replacement or installation like you see there, contact us today for a free no-obligation quote. 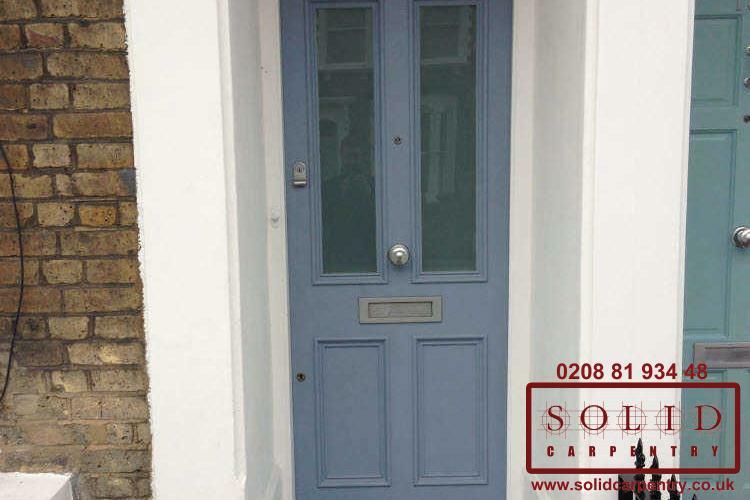 Solid Carpentry supplied and fitted a new front door for me. 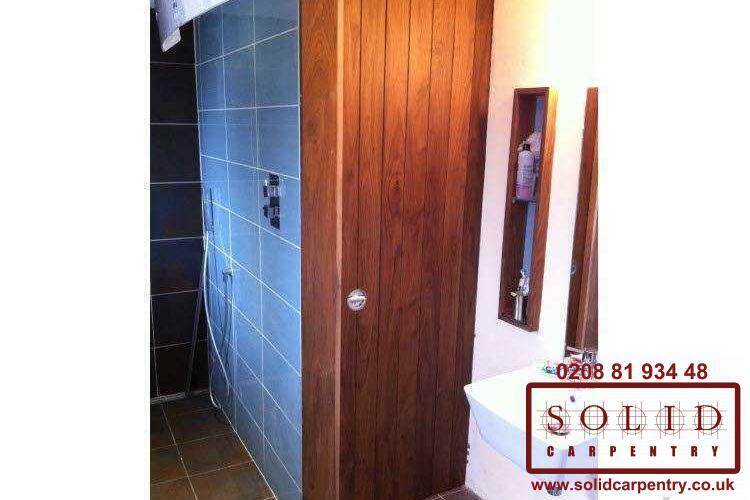 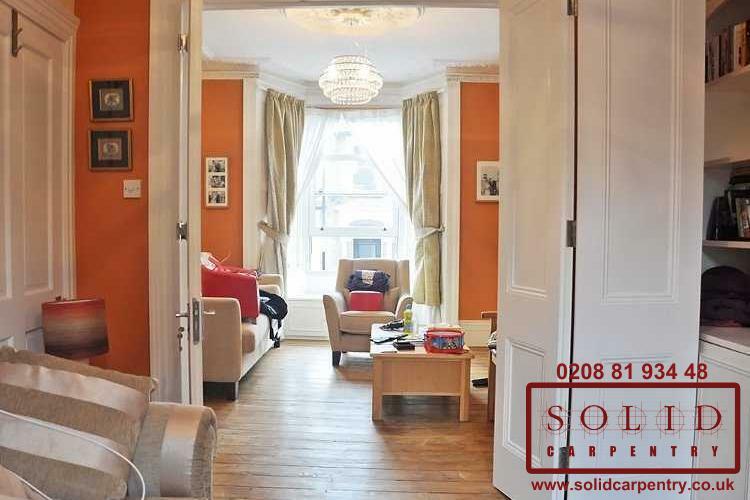 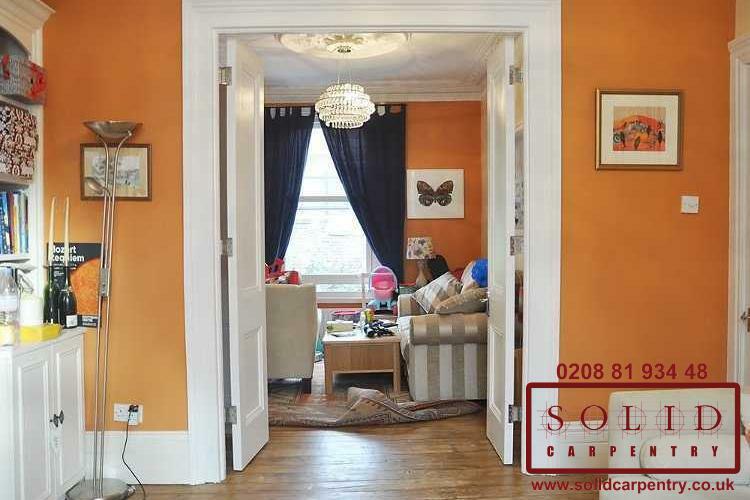 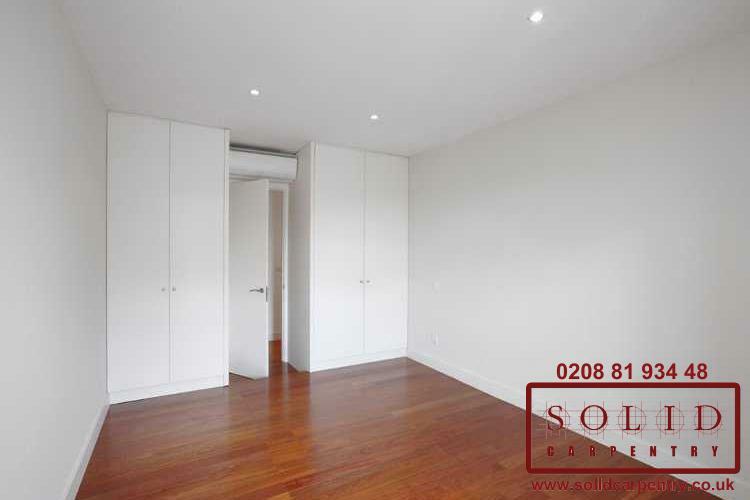 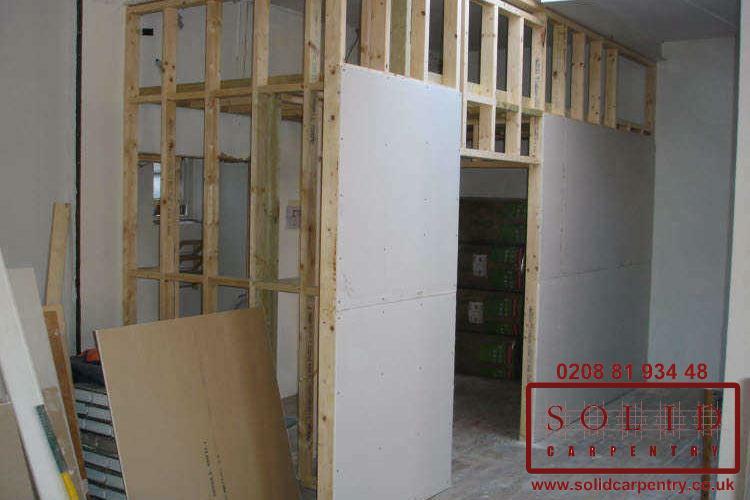 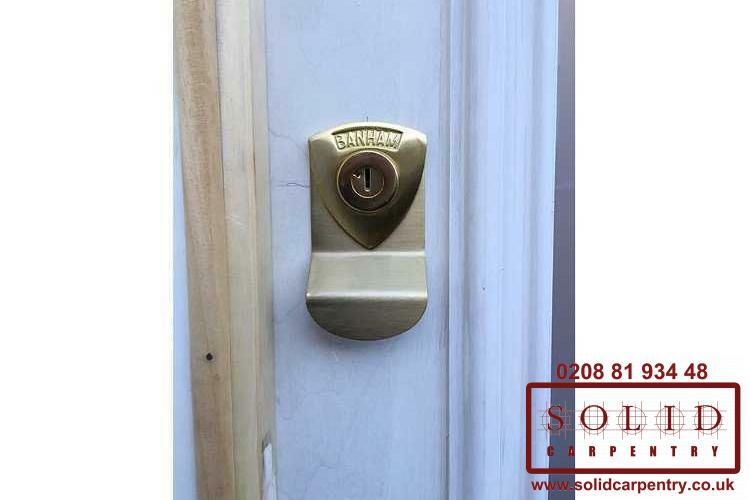 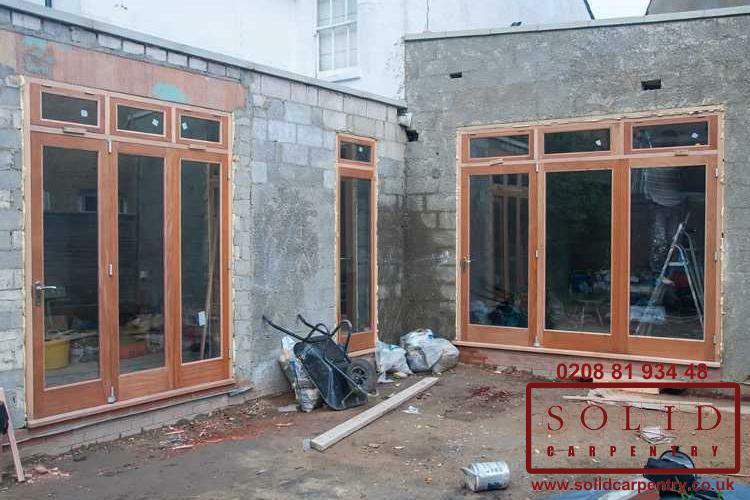 They were very professional and the work has been carried out to a high standard.